When you think of organized crime, you’re probably more likely to think of the Godfather than car insurance. Lately though, there have been a lot of staged accidents by a group of people who are members of organized crime syndicates in Los Angeles. According to the LA Times, these groups are using multiple people and sometimes multiple cars to trap unknowing cars on the road, forcing them to paying insurance damages. But this isn’t just an insurance ploy — these are actually real accidents causing real danger to motorists on Southern California roads. In LA and other areas of California where there is such a high density of traffic, this is a huge problem. Many cars will slam on their brakes unexpectedly and erratically in order to trick others into bumping their car. Sometimes they will even purposely damage their taillights so the brake light doesn’t warn you when they are about to slam on their brakes, which makes it even harder for you to see what’s coming before it happens. Sometimes these tricksters may even stage witnesses in the area so their case looks more plausible, because if it’s not just their word against yours and they have multiple witnesses or drivers, then they are more likely to win the insurance money. “LAPD Det. Gary Guevara, who works in the auto fraud unit of the department’s commercial crimes division, says the criminals prey on a certain kind of victim — middle-aged, well-dressed, employed and driving a nice car that is likely to be insured,” according to the LA Times. The crime usually involves three or four cars. Two cars will get in front of the victim and slam on the brakes, but the guy who started everything in the first car will drive away like in a hit and run. Two cars might also get in on the side lanes and block the victim in so they are forced to hit the car in front of them. 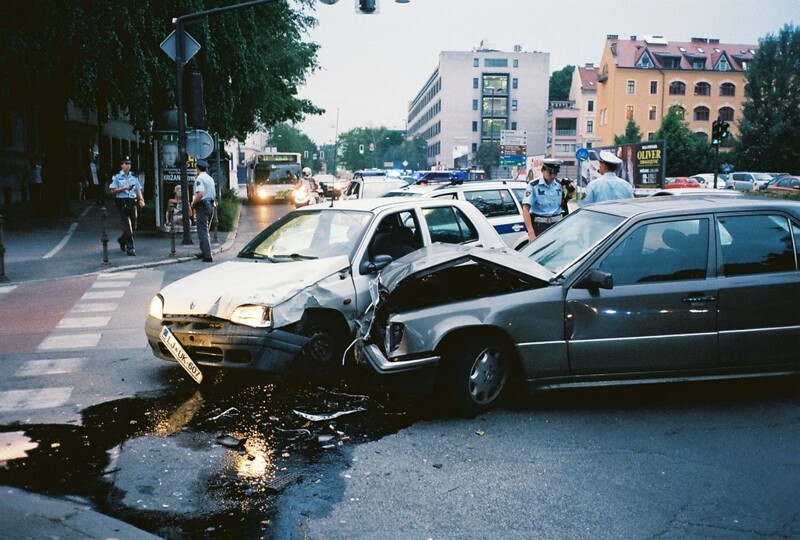 Sometimes even the car the victim hits will be filled with passengers who can file claims for fake injuries. Freeways are a big target not only because there are so many in LA, but also because there are very limited cameras around to record the accidents, so it’s really up to whoever is around and sees what happened. And most of the time, the people who see what happens are people who are in on the deal. Insurance groups and the LAPD are teaming up to create videos to combat these crimes and create awareness. Ultimately, the LAPD’s goal is to make it so that people are less likely to fall into these traps, but even then, a lot of times people still won’t be aware or have any idea how to stop such scams from happening. Unfortunately, there’s not a whole lot you can do to stop these scams from happening to you in the first place, but if you suspect fraud after the fact, then you can notify your insurance company and they will tell you the best way to go about it and deal with the situation.